ORLANDO, Fla.—Members of nearly every corner of the healthcare sector all seemed to share the same uncertainty during this year's Healthcare Information and Management Systems Society convention. 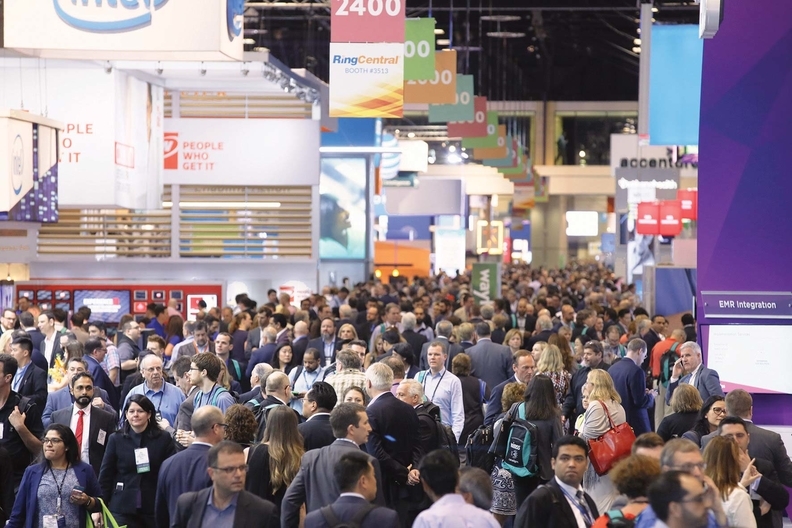 The sprawling HIMSS show—in prior years used by officials from the CMS and the Office of the National Coordinator for Health Information Technology as a forum to explain new rules and tout federal health IT policies—was a virtual showcase of unanswered policy questions this year. The ONC in particular faces delays in rulemaking while awaiting its new leader. Some of the uncertainty pertains to adding regulatory flesh to the 21st Century Cures Act, passed last year. The Cures Act calls on the health IT industry to reach for interoperability and steer clear of “information blocking.” That provision has some vendors worried, since the language of the act is fairly broad, while the penalties are severe—up to $1 million per incident for developers, networks and information exchanges. The law leaves it to HHS entirely to draft penalties for providers who block data. Absent a clarifying rule, the data-blocking terms in the statute are “susceptible to variable interpretations” and could lead to “frivolous complaints,” said Eric Helsher, vice president of client success at Epic Systems Corp.
“It could create confusion,” added Dr. David McCallie, senior vice president of medical informatics at Cerner Corp. Vendors will have to wait to see how the ONC handles such language in rules. Though the office is doing what it can under acting coordinator Dr. Jon White, it also is hampered by congressional budgetary constraints. The federal government currently operates under a continuing resolution, which limits spending to what the ONC has already been working on, White explained. That may curb spending on new programs or panels, such as the Health Information Technology Advisory Committee that replaces two committees that previously handled health IT policy and standards. Interoperability remains elusive and top of mind for all healthcare folks because health data are so difficult to standardize—whether it's moving information between competing companies or getting computers to speak each others' language. Problems also arise from a lack of data-sharing agreements between healthcare organizations. Precision medicine and genomics were also front and center at the conference, with their own symposium and multiple educational sessions led by pioneers in the field, including Inova, Intermountain and Geisinger healthcare systems as well as Oregon Health & Science University. Philips, the Netherlands-based electronics conglomerate that's expanding its healthcare footprint, had a genetics lab set up on the exhibition floor. Meanwhile, giant computer chipmaker Intel Corp. showed off its precision medicine work, in partnership with molecular test maker Qiagen, in a virtual reality game. As healthcare data move into the cloud, payers, providers and others stressed the importance of cybersecurity. Though the cloud “introduces complexity,” said John Walsh, chief technology officer of Horizon Blue Cross and Blue Shield of New Jersey, it is possible people are overestimating its dangers. Attendance at this year's show was slightly up from last year, to 42,287 people. That's just under the 43,000 HIMSS conference organizers expected. At 39.5% of attendees, providers made up the largest group of show-goers. Almost a third of attendees were C-suite executives, and about a fifth each came from IT and senior management. The rest were government employees, academics, clinicians and those from other fields.